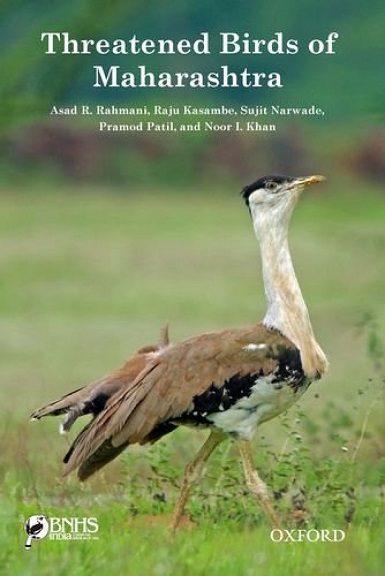 Threatened Birds of Maharashtra is the third in the Threatened Birds series published by the BNHS and OUP. Threatened Birds of Maharashtra brings information about the globally threatened bird species that are presently reported from Maharashtra state. Threatened Birds of Maharashtra will help to assess the present status and distribution of the threatened bird species found in Maharashtra, and the recommendations for each species show the way ahead. Identifies threatened and near threatened bird species in Maharashtra. Recommends measures for long-term protection. Nearly 92 colour photographs and 39 maps. Paperback. 221 pages. 92 colour photos. 39 colour distribution maps, tables.